United States land of dreams. People often define this country like that. One can find people from almost every country on this planet in United States. Even though there have been economic crisis in recent few years in United States, but there have been no downfall in the applications made for immigrating to US. 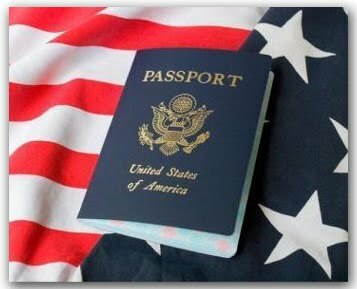 One of our member of G8 Lawyers, Heidi MacDonald, have some more vital stats about the US immigration laws with a focus on lenient and immigrant friendly rules of Utah state of United States. ► Utah is a pro- active state when it comes to immigration. Whereas Arizona, As of June 2012 made it illegal for immigrants(illegal) to seek work. ► Utah is choosing to be a model using an alternative method: Governor Gary R. Herbert passes a bill that is more business friendly for both the business owner and the immigrant, called the guest – worker bill (however, in order to enact this bill, Utah is waiting for Washington to pass it.) This bill allows the worker to stay in Utah while maintaining family and work. ► Utah is particularly interested in avoiding racial profiling. ► Utah has a building and growing political as well as communal status at a higher rate than most states in America. ► Utah encourages entrepreneurship, as of this summer it has held its first grant competition for small business start-ups. Encouraging and supporting immigration allows Utah to enfold new ideas and economic growth into the community. It will prove wise to the status of Utah to pass the guest-worker bill and be able to show the other states how we can work together in pulling our communities and families together with unity and business. With so many immigrant friendly laws, you can easily migrate to US into the Utah State. For further assistance, you can always contact the G8 Lawyers. Now that you are planning about US Immigration, here's how you can help yourself. Fill out the papers that best suit your needs.